Home » My Cookbook » Exciting News..I’m Writing a Cookbook! ??? 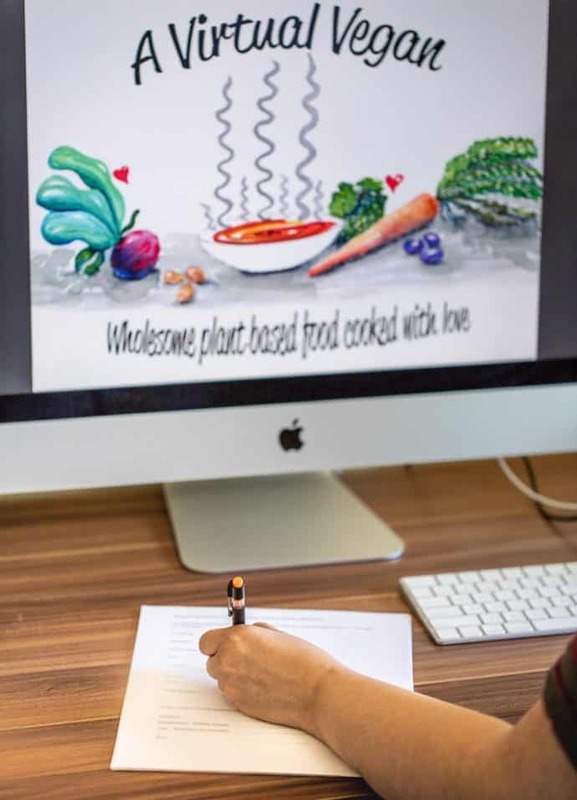 ?Me…Signing the contract for my first cookbook! It’s finally time to let you in on the big secret that I have been dropping hints about for weeks. For the past two months I have been writing, photographing, styling and creating recipes for my cookbook which will be published in Spring 2019. It feels like an age away but I have to hand the manuscript in a long time before that, so it’s all systems go in the AVV kitchen at the moment. When I say all systems go, what I really mean is complete and utter chaos. The fridge is overflowing, the sink is stacked full of dirty dishes nearly all of the time, the dishwasher is permanently on, and I feel like I haven’t left the kitchen in weeks! Plus, because I am photographing the book too, my dining room has been turned into a makeshift photo studio and is in it’s own state of chaos with tripods, bounce boards, backdrops and props scattered all over. Despite all that, I am loving every minute. The recipes I have created so far are incredible. I am so proud of them and I cannot wait to share them with you. A little about the book? I’m not going to go into too much detail about it this early, but it’s full of what I do best. COMFORT FOOD (vegan obvi). And there will be a picture for every single recipe. I don’t know about you, but when I buy cookbooks I want pictures. I want to see what the recipes should look like before I make them. I think that’s really important. Plus, the photography is an important part of the creative process for me. So there you have it. I will still be bringing new recipes to AVV in the meantime but not at quite the same rate I usually do. There just aren’t enough hours in the day and there are only so many new recipes that one little brain can create without risk of implosion. In the meantime though, I invite you to join me in this incredibly exciting journey. One which I didn’t think I would ever have the chance to take and which would not be happening without you and your support. Be sure to follow me on Instagram because I will be sharing what’s happening behind the scenes as well as glimpses of some recipes from the book in my Insta stories as I create/photograph them! Any exciting news about my book and AVV in general is always given to the people on my mailing list first, so if you aren’t on it and want to stay in the loop, you can join up by completing the form at the bottom of this page. NOTE ADDED LATER – And it’s now available to pre-order! Details are here but here’s a sneak peak of the cover! Mel, I will be watching for your cookbook to come out ( I am almost as excited as you sound like you are) I love all of your recipes that I have tried so far. Thank You again for the recipes you share with all of us. and like you ,I enjoy seeing the pictures of the food in Cookbooks. Congratulations! Thank you Matilda.I can’t wait to share it with you! That’s great news, Mel, congratulations! Congratulations!!! I will DEFINITELY purchase your cook-book! I will buy several , one for me and some for gifts!! Thank you so much Lynn! That’s made my day! Congratulations! That is fabulous news. What a ride you are in for! Thank you so much Amanda! I’m still pinching myself! I’m so excited for you and this awesome opportunity!! I know it’s going to be amazing. Congrats and I can’t wait to see it next spring!! Thank you so much Cadry!